> pages, we found that the unwanted data is not showing strike out. > Ignore filters however work correctly. 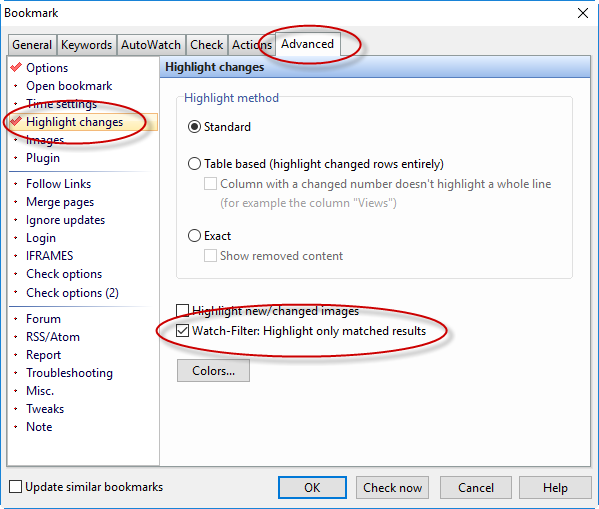 If you work with watch filters and want to strike out unwanted content, then you have to enable that behavior with an extra option in the bookmark properties. Unwanted content is only striked out automatically in combination with ignore filters and doesn't always make sense in combination with watch filters. For example if you use a watch filter for a text like "Number of comments: 123" and WebSite-Watcher should also highlight the new comments.